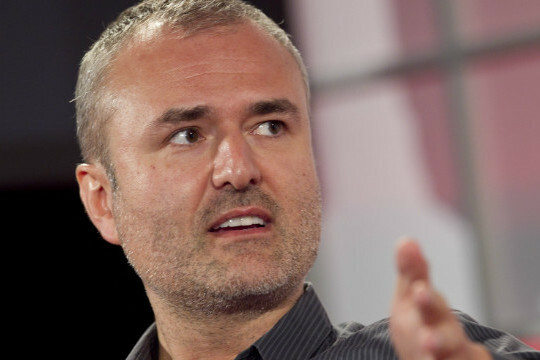 Gawker Media’s auto-focused site Jalopnik hired a new editor recently — which isn’t all that surprising, since the blog network run by Nick Denton has been expanding in all sorts of directions lately, including into new countries. But Jalopnik’s new hire didn’t come from a job board or Craigslist or even LinkedIn: new weekend editor Mike Ballaban got his new job thanks to his active participation in the site’s comment section. At a time when online comments are coming under increasing fire as being useless and/or evil, Gawker’s move shows there is still some potential value in them. You’ll also be able to republish articles from our site (and eventually all Gawker sites) and we’ll be able to do the same. If we do republish something you created you’ll get the byline, the credit, and it’ll be clear where it came from. When we look for the next generation of writers for our site, and other sites, we’ll be looking at who does well in Kinja. Other media outlets that have hired commenters include political blog network Daily KOS and The Atlantic, where Yoni Appelbaum was such a frequent and eloquent commenter on writer Ta-Nehisi Coates’ blog that the magazine asked him to be an occasional contributor and then eventually hired him. Coates’ blog is known for its thoughtful comments — so much so that the Atlantic writer actually thanked his commenters when he won a National Magazine Award for his writing. Critics such as Buzzfeed writer John Herrman argue that there is little value in reader comments, and some high-profile bloggers have stopped allowing them. But blogs such as Coates’ and that of Union Square Ventures partner Fred Wilson (where at least one startup, Engagio, was born out of a discussion on his blog) show that there can be value in comments when a writer or a site takes an interest in engaging with readers. And in some cases, it can even turn into a job. Once the paperwork is figured out, I’m gonna retire on my residuals. 2. Nice story, but don’t forget to google “survivor bias” before following this post’s title. So, aside from demonstrating value in he comments section at io9 (which Iâ€™ve done regularly for some time), I could point to years of experience in writing both for traditional and online media. We can go from there. You know that comics section that people keep carrying on about now that Comics Alliance is dead? Guess who happens to have experience writing about and podcasting about comics? Yes, that would be me. Please mail out my check now, so I can get it before the weekend. Daddy’s gonna drink top shelf Saturday night! Maybe I too will get some work from this comment. That’s what I’m telling myself anyway. All the snarky comments aside, I think this is kind of a cool idea. Especially for regular commenters. Although I’m a regular reader, I’m not a regular commenter. This might change that for me. I suspect that’s the point. I am an awesome and informed commenter on io9. Hire me now please. Thanks. I came here from Cracked.com, following an exodus of faithful readers/commenters. We had an online friendship and that made it pleasant to be there. I had been reading i09, Gizmodo, Kotaku and occasionally the other Gawker sites for a year or two, but the starred commenter system seemed too insular to get into, too self-referential. Now, it’s an altogether nice system where I feel encouraged to interact and contribute. I like all of the writers and editors and most of the commenters. I try to be nice to everyone, it seems the internet encourages rude behavior. Perhaps my being older makes a difference, I don’t know. I would like to contribute in any way possible. Please let me know if I can. You left out that he said it after commenters made death threats towards one of his writers and backed them up by hunting out the writer’s home address and posting it in the comment section. I KNEW I remembered your name from somewhere. You’re the guy who got banned and started a Reddit thread and a smear blog about how evil Cracked were for denying you your freedom of speech. And then you apologized and they gave you your account back and you immediately got yourself re-banned. Out of curiosity, did the mystery “big media outlet” you were talking to ever get back to you? Wouldn’t this flood the comment section of any site with people who write extremely well and those who think they do? There is no way all of the comments can be sifted through properly. Plus, for most entertainment news the comments section is reserved for maniacs who love to tell the article writer how wrong they are. Not always, many times commenters like just interacting with the article’s writer and other commenters. I agree, Shauna. I’m still trying to sort out the whole Kinja thing, too! The comments are often the best part of stories on Gawker sites, and seem to have far fewer trolls than some other sites. Regular Gawker reader/commenter here. What I liked about Gawker (pre Kinja) were the comments. I often found myself bypassing the articles just to read the comments. I found that their readers put more thought, and creativity into what they posted. Not because they wanted to get hired, but because that’s what kept most of the readers coming back, the witty, and snarky comments. After a while you got to “know” the commenters, and couldn’t wait to read their latest thread. The old “starred”system had a way of only allow the cream to rise, while letting the crap get buried. I have yet to see if that’s still the case with the new system. I’m still discovering some of the new features of Kinja, but so far the best thing about it, IMHO, is allowing commenters to become bloggers. Many Gawker commenters are better writers thans some of the employees. Even if they’re just a lowly commenter, I gladly subscribe to their blog postings. I’m still trying to work up the courage to write a post. I heard “get paid” and now I’m here. Amazing. I never realized this. There are actual ‘writers’ who believe comments are useless? Does the word ‘audience’ mean anything to them? Oh, I know, there are writers who think everyone should just listen to THEM talk, right? Check out Cracked.com. Or rather, don’t. Most of the Cracked writers just joke about how comment sections are the bottom of the cyber-barrel. Only one or two actively insult their readers’ life experiences. ESPN, though…Reilly and Simmons don’t allow comments at all, and never have. Good point, Heather — thanks. In other words: work for free and then maybe we’ll start paying you. Well, no, a comment is solely the commenter’s choice unless/until they are formally hired. Or are you calling what you just wrote work? That is how they all do it.